The world was supposed to have ended last Friday, December 21, 2012. Our 6-year-old son has been hearing this on the news, and he was really scared about it. He asked me several times before the dreaded day came if the end of the world would really happen. He would ask me before he slept at night: “Mommy, is the end of the word real?” And I would tell him: “Nobody knows when the world will end, only God knows, so you should pray and tell God not to make it happen.” To shift our little boy’s attention away from this scary thought, we went to Serendra the night before the world was supposed to end to enjoy the night and have fun together as a family. First, we had dinner at Sentro 1771. 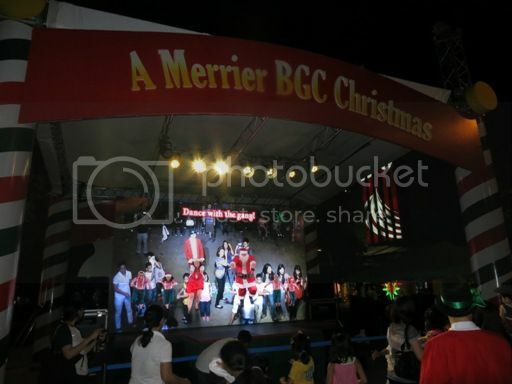 Then we strolled around the place and found “A Merrier BGC Christmas.” There’s a big screen where kids and kids at heart can dance, hop, catch gifts, and have their photos taken with Santa Claus, Frosty the Snowman and Rudolph. 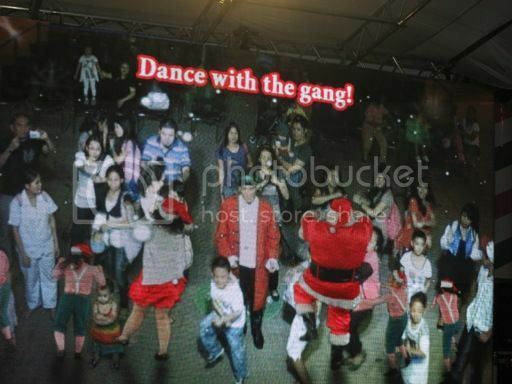 That’s our son beside Santa Claus and in front of the man wearing a black hat; he’s having a blast dancing Gangnam Style. 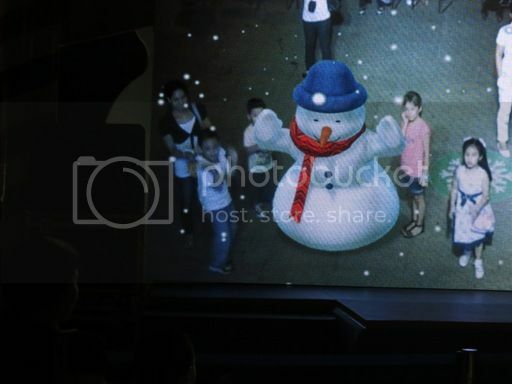 Feeling cozy with Frosty the Snowman! We stayed here until our young man got tired of dancing and seeing himself on the big screen. We strolled some more and had more pictures taken. Mother and son, so happy together! I love that smile on my son’s face! Who said it’s the end of the world? 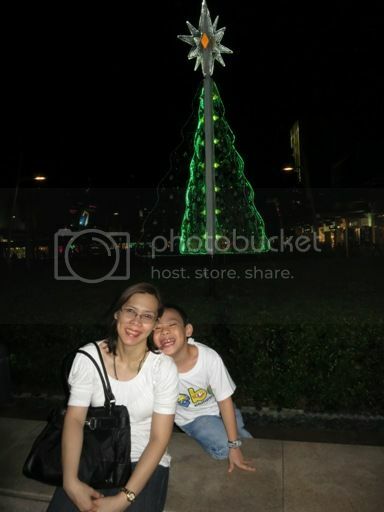 This entry was posted in Bonifacio Global City, Serendra. Bookmark the permalink.